Australian veteran-owned start-up Soldier.ly has taken out the Zurich Insurance inaugural Innovation World Championship for the development of a world-first smartwatch app. The world-first smartwatch stress detection app, called 'uStress', is designed to reduce suffering and suicide in the veteran community and has quickly attracted worldwide attention. The idea for the uStress app originated after Australian Army veteran Chris Rhyss Edwards survived a suicide attempt due to being interrupted by an SMS from a friend. This technological intervention led to Edwards designing a smartwatch app that gives veterans a practical and anonymous tool for monitoring and managing stress by tracking biofeedback data and alerting them and their support network when it detects signs of increasing stress levels. Edwards said, "Like many veterans, I was too embarrassed to ask for help, so I created Soldier.ly to give veterans an early warning system for discretely managing their mental health by tracking and directly addressing stress and anxiety." Zurich Insurance Group chief executive Mario Greco said, "The Zurich Innovation World Championship underlines our ongoing quest to attract and retain the best and most innovative talent across the globe. We are very excited to be working with our winners to develop cutting-edge new services, approaches and capabilities that will help us better meet the evolving needs of our customers, employees and other stakeholders globally." 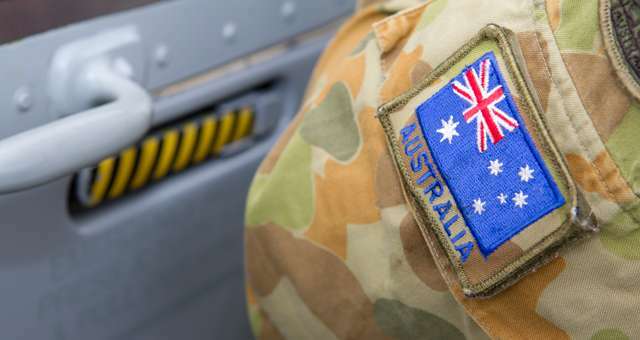 Soldier.ly chair Professor Jane Burns said, "Suicide in Australia is at epidemic levels. If Soldier.ly saves one life it will be a game changer, if it saves 1,000 and helps the 25,000,000 veterans worldwide, it will radically reinvent the way we think about keeping ourselves mentally fit." There are 25,000,000 veterans living throughout the Western world. A veteran commits suicide every hour in the US and Australia has lost more soldiers to suicide than fighting in Afghanistan. Many live with physical or psychological effects from their service, and far too many struggle with the transition from the highly structured and supportive military environment to life as a civilian. This range of issues often leads veterans engaging in harmful behaviours, suicidal ideation and/or suicide. Open Arms - Veterans & Families Counselling (formerly VVCS) provides free, confidential counselling and group programs specifically designed to support the mental health and wellbeing of currently serving and former Australian Defence Force personnel and their families. Open Arms: 1800 011 046 or www.OpenArms.gov.au.